HIV was once a word that instilled fear. Decades later, with new knowledge and available treatment for the virus, communities are uniting to take a collective stand in fighting HIV transmission and the stigma and discrimination associated with it. 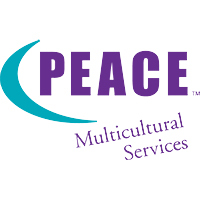 PEACE Multicultural Services (Relationships Australia SA) warmly invites you to celebrate this event as we share knowledge, ideas, enjoy a delicious buffet brunch and meet new people. Don’t miss out on this opportunity to contribute towards the eradication of HIV transmission.